Backstreet Boys’ resident heartthrob and newlywed Nick Carter and New Kids On The Block’s Jordan Knight had so much fun on the NKOTBSB tour they decided to team up and keep the party going. 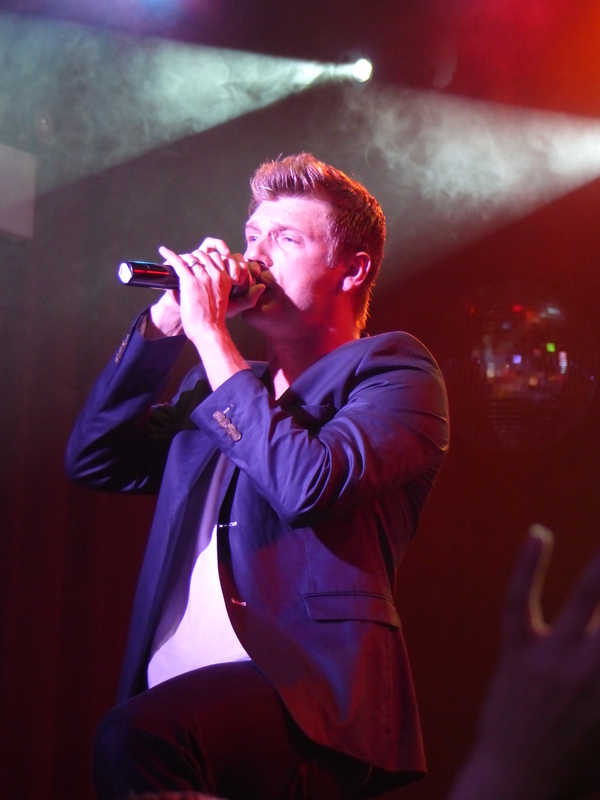 Nick & Knight are teaming up for an album and tour this fall. The duo celebrated the release of their debut album with a party at Highline Ballroom in NYC. Nick and Jordan performed quite a few songs from the album including “Switch”, “Halfway There” (with Jordan on piano) and “Deja Vu” which was co-written by Brandyn Burnette! They also took questions from the fans, revealing more about their upcoming tour. (Trust us, it sounds amazing!) Jonathan Knight came out to support his brother and even mingled with the crowd, taking selfies with everyone. Nick brought out his own laptop and did double-duty, showing off his DJ skills during the release party. They said they will play solo material for the Nick & Knight tour later this fall and topped the evening off with Jordan performing “Give It To You.” We are still fangirling over this, because this was our JAM in 1999, and we voted for it on “TRL” almost daily. Pick up a copy of Nick & Knight’s album on iTunes or Amazon now and check out all of their upcoming tour dates HERE! Be sure to follow Nick & Knight and Secret Fangirls on Twitter. In case you haven’t heard, Nick & Knight’s debut album will be released next week! The album, out September 2nd, is a collaboration between all time boy band greats Nick Carter and Jordan Knight. In celebration of the album, here’s a look at our favorite Nick & Knight songs and collaborations. If you’re in NYC, you can celebrate the album release with Nick & Knight at Highline Ballroom! Get more info here. You can pre-order Nick & Knight’s album on iTunes now! Jordan’s first solo hit was a smash on TRL back in the day, although looking back we probably shouldn’t have been singing this song. Oh well. It was co-written by Robin Thicke, so it all makes sense now. Nick & Knight’s album isn’t the first time he’s teamed up with a fellow boy band member. We love this collaboration between Jordan & Donnie. While Nick’s solo career never reached the height of Jordan’s, he did release his 2nd solo album in 2011, including this catchy lead single. The start of the Carter-Knight bro-mance began in 2010 when the supergroup, NKOTBSB was formed, AKA the greatest thing to happen in boy band history. And the second greatest thing to happen in boy band history: the first single released by the duo! We can’t wait to see them on tour this fall. Check out all the dates here! Nick & Knight Album Release Party at Highline Ballroom 9/3! We’re less than 2 weeks away from the release of Nick & Knight’s album, and what better way to celebrate than with an album release party at one of our favorite NYC venues, Highline Ballroom? The party (not clear if they’ll be performing or not since any concert with Nick Carter and Jordan Knight is a PARTY) will be on Wednesday, September 3rd. Nick & Knight’s self titled album will be released on September 2nd. You can pre-order on iTunes now! Watch the video for their single “One More Time” below. Tickets and VIP Packages go on sale this Saturday, August 23rd at 10AM at NickAndKnight.com. Be sure to follow Nick & Knight and Secret Fangirls for more updates! 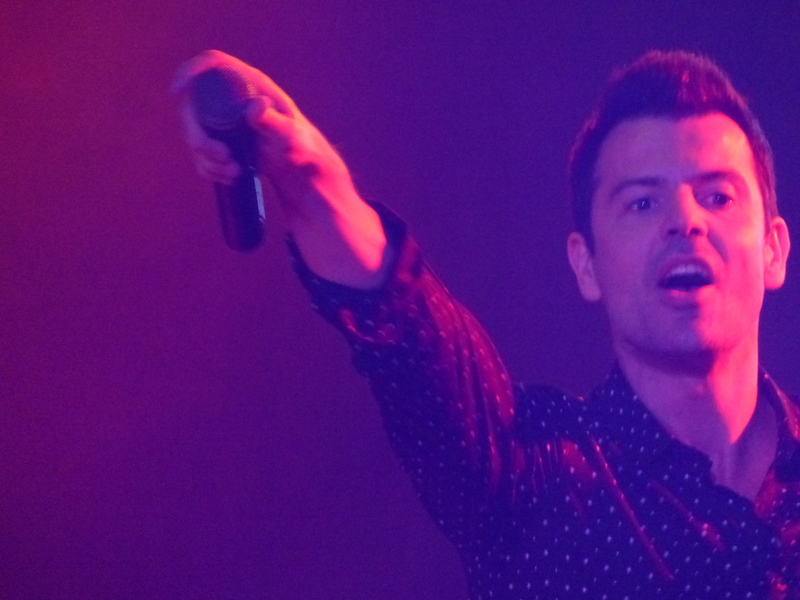 We are huge boy band fans here at SecretFangirls.com, so we are thrilled that two of our favorite members, Jordan Knight of NKOTB and Nick Carter of Backstreet Boys, are teaming up once again for a joint album and tour. Having seen both acts live (NKOTBSB was by far the greatest concert of our lives), we have to say that both Jordan and Nick are the members that consistently BRING IT each and every night of tour. We can’t wait to see what happens when they team up on stage. Check out all of their tour dates HERE! Watch the video for their first single “One More Time” below! You can pre-order their album, “Nick & Knight,” on iTunes now! You’ll get an instant download of “One More Time” and a new track, “Paper.” The album will be released on September 2nd, just enough time for you to learn all of the words before the tour starts. Check out the track listing below! Be sure to follow Nick & Knight and Secret Fangirls on Twitter for more updates! 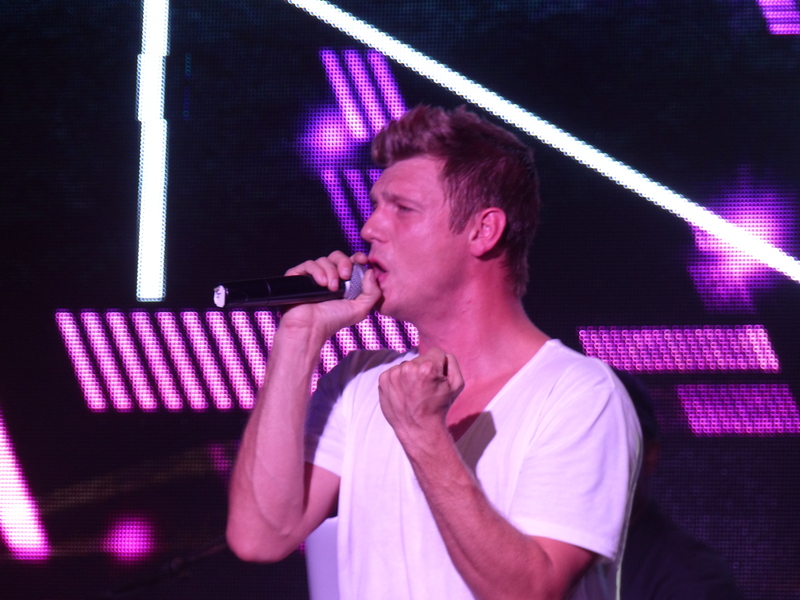 This news still sounds almost too good to be true: As we told you back in April, Nick Carter and Jordan Knight are teaming up for a joint album and tour this fall. Nick & Knight just released the lead single from the album, which is due out September 2nd. Listen to “One More Time” below! 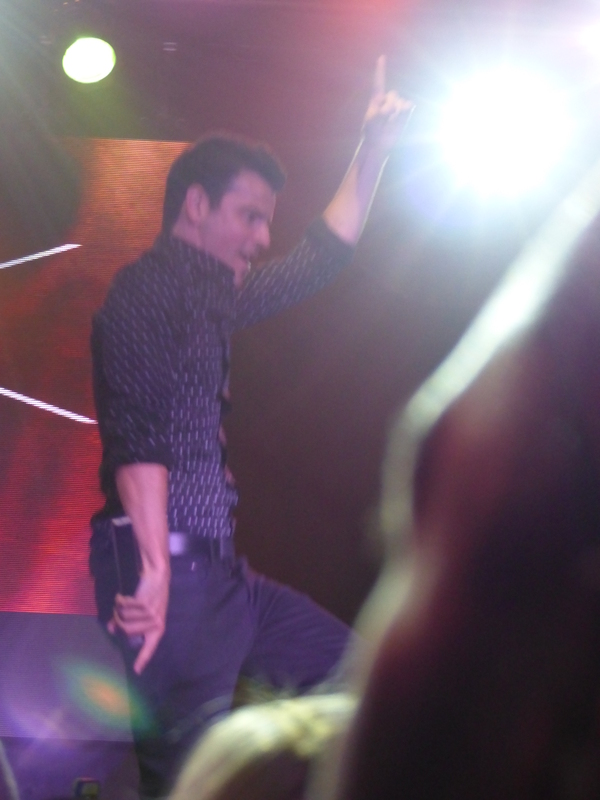 And just remember that this is Nick Carter and Jordan Knight SINGING A DUET. You can download “One More Time” on iTunes now! The album is also available for pre-order at NickandKnight.com. Tickets to the tour are on sale now, and trust us, you don’t want to miss this one! Based on our professional fangirl opinion, Nick and Jordan are the ones that consistently BRING IT each night on stage. They add their own flair to the choreography, and aren’t afraid to get down and move it all around. And we can’t wait to see what will happen on stage when they team up! Be sure to follow Secret Fangirls & Nick and Knight on Twitter for more updates!